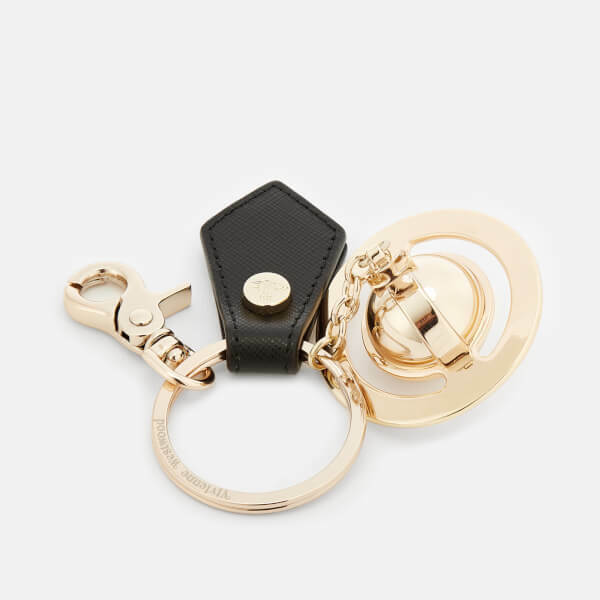 Vivienne Westwood 3D orb keyring in gold-tone metal with a mirror finish. 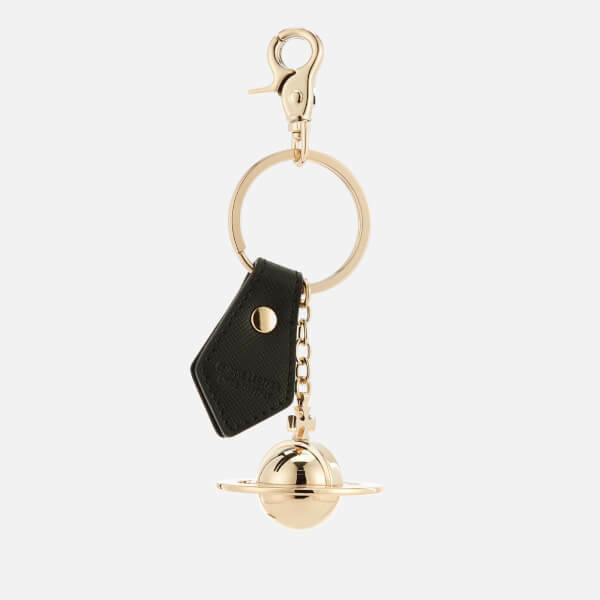 The iconic orb logo keyring is designed with a lobster clip and a black leather tab with an orb logo stud. 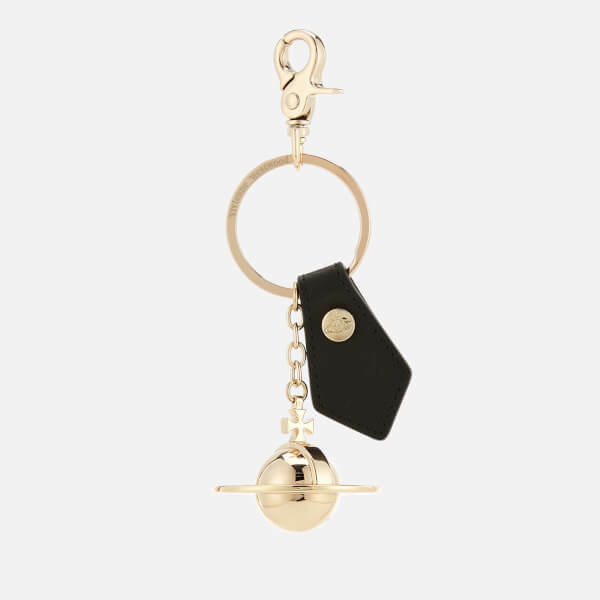 Branding on the keyring completes the design. Presented in a branded gift box.